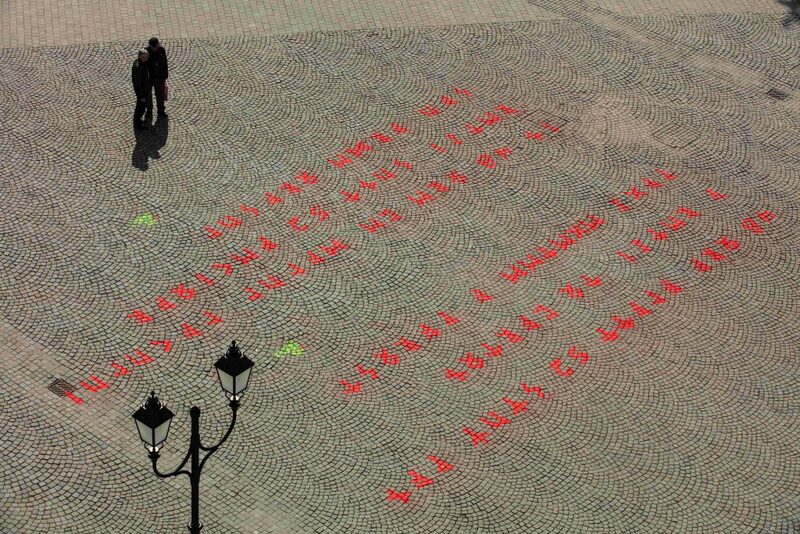 The mystery of the strange text that appeared on the pavement of the central square of the Transylvanian town of Sepsiszentgyörgy/Sfântu Gheorghe/Sankt Georgen on Monday has been solved. It appears that – as the signature already suggested – it was written by a dragon. 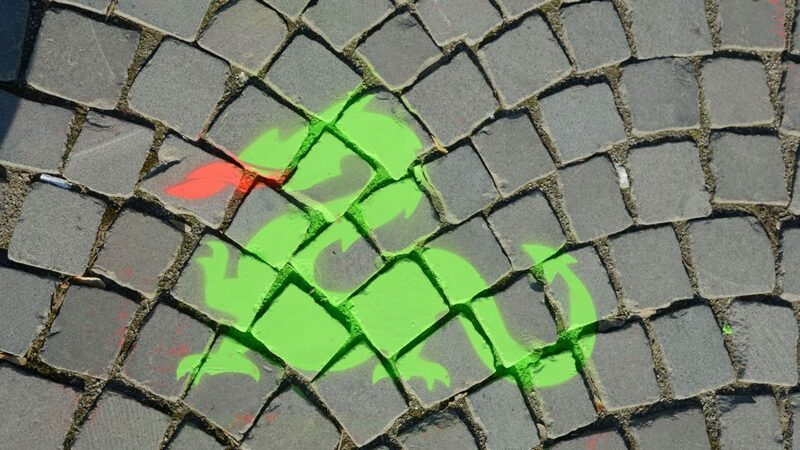 Monday morning the denizens of Sepsiszentgyörgy woke up to two messages written in blood-red cuneiform writing on the cobblestones of the town’s central square, with a green dragon in lieu of signature under each. Local media asked the help of the population in solving the inscriptions which was shortly thereafter deciphered. They say “Bring 52 virgin to Retyi lake in 48 ours or town burn” – this is the English approximation of the messages written in broken Hungarian and Romanian. Many of those who solved the message also theorized that the message must have been written by a dragon, given how lore has it that a) cuneiform is the writing is what dragons use and b) they speak every language on Earth but none of them particularly well. As you may have already guessed, this was a publicity stunt – in this particular case from the organizers of the St George Days, the annual, week-long town festival which begins on April 24. St George was the soldier-saint after whom the town is named. According to an 11th century Georgian legend preserved in writing, he slayed a dragon that demanded sacrifices from a town close to his lair, saving a young princess in the process. Sepsiszentgyörgy is the largest town outside of Hungary with an absolute majority of Hungarians – it has a population of just over 54,000, three quarters Hungarian.